Family-friendly riverside Currawong Flat picnic area offers fishing, paddling and picnicking along the banks of Hacking River in Royal National Park, near Sydney. Fitzpatrick Park picnic area at Picnic Point is a great place for a family barbecue not far from Sydney. Enjoy a barbecue, go fishing or enjoy a spot of paddling. Gunjulla Flat picnic area is a lovely rest area, great for birdwatching, while on a car tour of Royal National Park, near Waterfall. Wheelchair accessible Ironbark Flat picnic area is a great riverside spot for a family friendly weekend day trip with scenic views of Hacking River, near Audley and a short drive from Sydney. A visit to this Sutherland picnic spot, located at Kingfisher Pool campground in Heathcote National Park, near Waterfall, offers birdwatching, bushwalking and swimming. Idyllic Pool Flat picnic area offers swimming and paddling on Hacking River in Royal National Park, in the popular family friendly Audley region, south of Sydney. 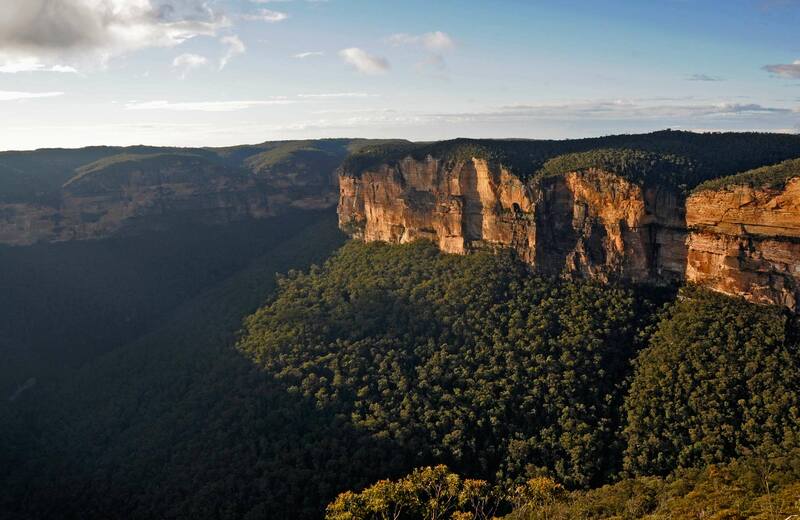 A perfect pit stop on a car tour of Royal National Park, Governor Game lookout offers scenic coastal views and birdwatching with picnicking.